3D world, 2D exploration, mechanical animals as protagonists, and co-op. There's the elevator pitch for Mekazoo, and we're already interested. The upcoming platform game from Good Mood Creators features five different mekanimals running, swinging, climbing and jumping through a colorful world on their way to take out an insectoid army. I mean, insektoid? The Good Mood Creators studio was founded a few years ago by several Digipen students looking to make their mark in the gaming world. Mekazoo is their first big project. The game is a throwback to platformers of old, putting players in a 3D world that shifts and rotates but confining the action to a flat plane. There are giant bosses to murderize, plenty of environments to explore, and little shiny things to collect, like we all love to do. Co-op in Mekazoo is slightly different than the norm. Two local players each control a character, but one is inactive at all times. The inactive player can only activate themself to take the reins, turning the other player inactive until they do the same. Essentially, it's a single player character switching mechanic adapted for two players. Not much is known about Mekazoo so far, just that it looks good, it's got some great music, and there are five controllable animals to play, each with an enormous smile on their faces. Armadillo does what you'd think an armadillo does: rolls around on the ground. Frog can jump and flip off walls and ceilings, not to mention use that tongue of his to grab things. Wallaby rapidly jumps from the ground, walls and ceiling. Panda scales terrain with sharp cybernetic claws. And stork can fly, which is all you need to be special, right? 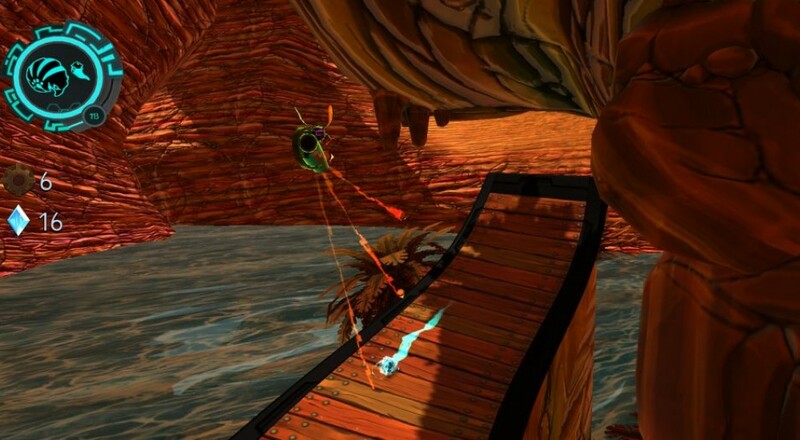 Mekazoo is on its way to PlayStation 4, Xbox One, PC and Wii U in Q1 2016. Page created in 0.9765 seconds.